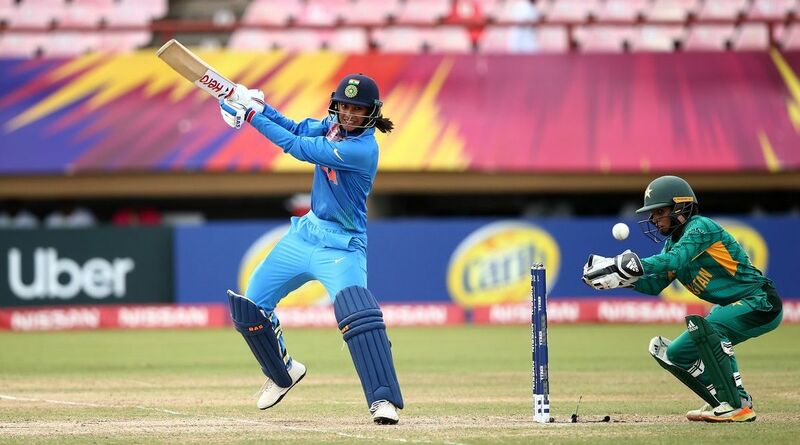 Indian cricket team were given 10 extra runs against arch-rival Pakistan on Sunday after the Women-in-Green were handed two penalties by umpire Suzanne Redfern for running on the pitch during their second group match of the ICC Women’s T20 World cup. Speaking about the issue, Pakistan skipper Javeria Khan said running on the danger zone was “unprofessional” on her team’s part. “I had a chat with the umpires, they told me that our players were warned thrice and then the runs were docked. It was unprofessional on our part, after being warned, we still trodded (sic) on the danger area. It’s something we need to work on, it hasn’t happened for the first time, it happened previously during the Sri Lanka series as well,” said Khan at the post-match presentation. However, Twitter has mixed reaction regarding the umpire’s decision to hand Pakistan women 10-run penalty. What is this bizarre rule? #indvpak .10 run as penalty woo hoo….extraordinary. Come on India lets do it. Tgt is 124 now, after 10 run penalty. 10 runs penalty, Pak penalised twice 5 run penalty. Meanwhile, Javeria Khan heaped praise on Bismah Maroof and Nida Dar for their innings. “I’m glad that we managed to get a total on the board and we had a partnership, both (Maroof and Nida Dar) played really well. These two have proven to the girls and everyone tried their best to do well for the team. Hopefully, we will learn from this going ahead and others stand up and perform. Our bowling effort was a bit disappointing despite being 10 runs short. It could have been a bit better, we took them until the 19th over, but we could have planned it better, if we had executed our plans, we might still have beaten them,” Javeria Khan added.